Stream: Stream brings messages from business on Hubtel in an interactive and useful for you. It lights up your user experience with features like receipts, invoices, offers and discounts in rich multimedia display, analytics and more. Services: Hubtel.me provides a variety of services like “Send Money”, “Buy Airtime”, “Pay Bills”, “Buy Internet Data” etc for users to buy easily and conveniently. Paying for services with Hubtel.me on any smartphone is a joy. Simply pick a service to pay from your wallet, mobile money or debit card. To improve user interactions with businesses, Hubtel.me curates a user’s popular services for easy access. Wallets: Hubtel.me Wallets present a beautiful but secured way to store and manage all your mobile money wallets, bank cards and loyalty cards. All loyalty cards are presented beautifully and you can easily see your rewards. Settings: An easy to use interface which enables users to manage their account. You can update your profile, share Hubtel .me with friends to earn rewards or reset your login PIN. Support: Support is a great deal for us so we have built an intelligent automated personal assistant named “Sophie” into Hubtel .me which handles most of the customer queries and does direct users to a human assistant when needed. There is never a dull time with Sophie, install and give it a try. Get instant rewards and discount vouchers as you connect, transact or buy services. What payment methods are accepted on Hubtel.me? Do I get charged extra for receiving rewards? Absolutely NOT. Hubtel.me even shares a portion of commissions Hubtel earns from businesses and service providers. How does the Reward point system work? Hubtel.me rewards are simple; you earn points on all payments to services and businesses on Hubtel. As you collect more points over 30 days periods Hubtel.me promotes your account along Tier Classes to earn you even more points. These Tier Classes in ascending order are Teal, Bronze, Silver, Gold and Gold Elite. How long do I have to redeem my points? You can redeem your points within the expiry date on your Gratis Rewards account. What are the benefits of Hubtel.me? All members on Hubtel.me enjoy a variety of benefits making your time on-board even more memorable. 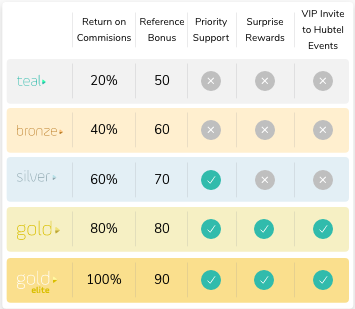 Depending on the level of membership, benefits may include: rewards on purchases, send money and referral, priority support or a VIP invitation to the exclusive Hubtel events. What additional benefits will I get as a user? So many… Businesses on Hubtel can offer their own additional loyalty rewards and vouchers as they wish. Look out for a great deal from a business near you soon. Can I also redeem rewards as cash? Yes. You can redeem your Hubtel .me points as cash through a mobile money transfer. What are the club levels and their benefits? Can I do bank transfers? Yes. To transfer money to a bank account, go to Services in your Hubtel.me app and select Send Money. Choose Bank Transfer and enter the transaction details to complete the transfer. Yes. We accept VISA and Mastercard debit cards. Why is there a daily limit to how much I can spend on Hubtel .me? We use daily limit to protect your account from potential abuse. How do I increase my transaction limit? Can I top up my Reward wallet? Can I top up my Hubtel wallet? How many payment channels/methods can I add to Hubtel.me? You can add as many as you like as long as they belong to you. Why do you want to debit my wallet/card before I add it? We do this to ensure you are the valid owner of the wallet but no need to worry, the debited amount is refunded after mobile money wallet/card verification. My card verification amount has been debited but I have not received the bank alert? Please check your bank statement or call your bank to confirm the amount. You have 24 hours to verify your bank card. Gift cards help you say thank you, happy birthday or congratulations to that special someone. When you send a gift card, the recipient can redeem the gift card and use it to buy services like airtime or send the money to their mobile wallet or bank. How do I send a Gift card? To send a gift card, go to Services and select Send a Gift Card. Choose the type of Gift Card you want to send and enter the details to send. Go to the "more" icon at the bottom of your screen. Scroll down to "Help" and select "Change PIN". Enter a new PIN and confirm the new PIN to finish. Scroll down to "Help" and select "Forgot PIN". For security reasons, we will delete all the existing wallets on your account. Tap "Reset PIN" and enter a new PIN to complete. To ensure the security and integrity of all users on Hubtel.me we require verification before you complete certain actions like adding a wallet. You can verify your account with your Voter's ID, Driver's License or Passport.